The latest masterpiece to get the action figure treatment in Figma’s Table Museum series is the tortured soul featured in Edvard Munch’s famous The Scream painting from 1893. The figure won’t ever stop screaming, but with its articulated arms and torso you can at least pose it to look slightly less upset. 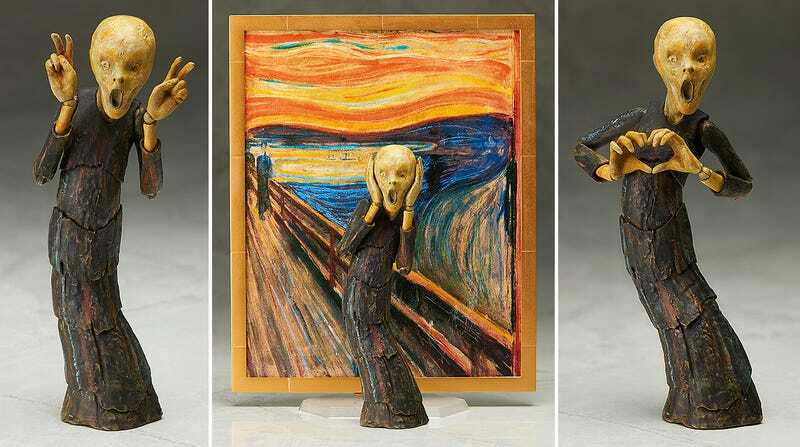 Available starting in May of next year for around $52, The Scream will include a colorful backdrop allowing you to recreate Munch’s original masterpiece, or you can pose any anguished figure in your collection in front of it. It might not be authentic, but who wants to spends tens of millions of dollars on a piece of art you can’t actually touch?